The home inspection is a vital opportunity homeowners can take advantage of and learn as much about their property as possible. We urge all homebuyers have a professional home inspection from someone that is skilled, experienced, licensed and bonded in California State home inspections. In order for homebuyers to get the most out of their inspections, it is important to listen, ask questions and take notes. Here are some key points to make the most of your home inspection. #1. Understand what to expect from your home inspector. Your real estate agent will likely recommend a real estate inspector but it is your decision on who to choose. Get recommendations from your mortgage lender, attorney, or friends. Check the inspector’s credentials and reputation. Ask how many inspections they have completed, verify they will provide a written report after the inspection and ask to see a sample report. Do not forget to ask how long it will take until you receive your inspection report. #2. Prepare for your inspection. We urge all homebuyers to attend the inspection to learn about their new home. Before the inspection, look over the interior and exterior of the property for potential problems to ask the inspector upon review. Look for wet spots under sinks, odd or moldy odors, and review the seller’s disclosure form for any items needing careful inspection. #3. What you can do during the inspection. The inspector will look for major issues such as foundation problems, a leaky roof, and electrical or plumbing issues, but you should ask key questions during the inspection. Ask where the water and gas shutoff valves are and how to maintain the property properly. Home inspectors can also offer tips on appliances and material life expectancy. If the inspector finds issues that are of major concern, it is best to discuss how to proceed with your real estate broker or agent. 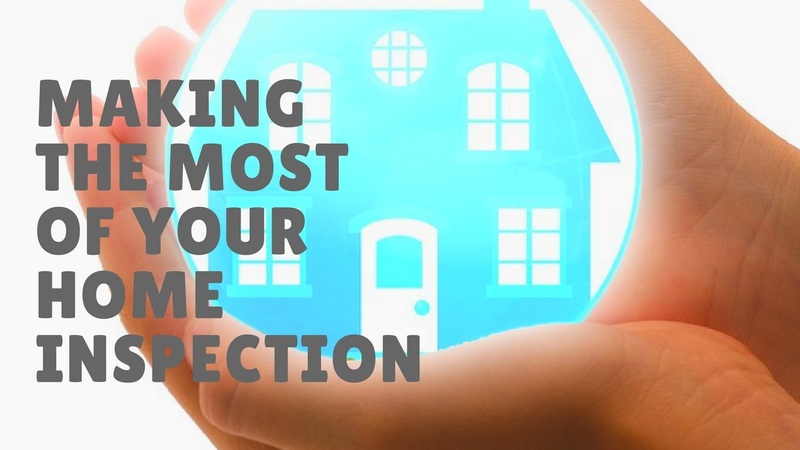 Attending the inspection is crucial to understand as much as you can about your new home. Know what to expect, ask questions and be prepared to review the report with your agent.